Dr. Paul L. Craig is a board-certified clinical neuropsychologist with over twenty-five years of experience serving Alaskans. Recognized for his excellence in the field, Dr. Craig has evaluated and/or treated more than 10,000 patients with a broad array of known or suspected psychological and neuropsychological conditions. Dr. Craig primarily provides outpatient evaluation and consultation services through his Anchorage office. Dr. Craig is also credentialed to provide neuropsychological services at Providence Alaska Medical Center and Alaska Regional Hospital. Dr. Craig is a Clinical Professor in the Department of Psychiatry & Behavioral Sciences at the University of Washington School of Medicine. Appointments for evaluation are by professional referral only. Ask your healthcare provider or call Dr. Craig’s office for more information. 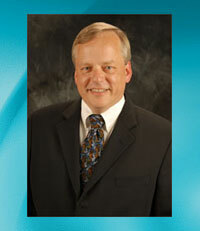 Dr. Craig is a nationally recognized leader in his profession. He served as an elected member of the Board of Directors of the American Psychological Association and American Board of Clinical Neuropsychology. To learn more about Dr. Craig's experience and credentials, click here. Learn more about our dedicated staff. Copyright (c) 2017 Paul L. Craig All rights reserved.